Both camps must understand there is a difference between Europe and EU institutions if they are to mount effective referendum campaigns. Europe. Charles Clegg/ Some rights reserved.Ahead of Britain’s in/out referendum, there is much to ponder about looking at past referendum episodes and dissecting ongoing public ambivalence vis-à-vis the EU. The history of European integration has been a bumpy and risky journey but, deep down, Europeans have never really stopped questioning the EU’s existence. Since the EU is not a state supported by a constituting demos – it never had its ‘we, the people’ moment – it has only survived by being given the benefit of the doubt. Still, the EU has proven very resilient. French and Dutch voters may have voted down the constitutional treaty in 2005, and the Greeks may have recently experienced the irony of sending a resounding ‘no’ to Brussels – but the EU continues to stand on its feet, even in the current “polycrisis”, to use Jean-Claude Juncker’s words. Three important lessons can be drawn from the intrinsically fragile yet enduring character of the EU, which campaigners from both sides need to integrate into their campaign narratives. First, relative national interest trumps everything. It would be foolish to campaign on the premise that the EU is either a nirvana or an absolute nightmare and, to be fair, no one apart from the most radical Leavers is set to do so. The electorate might not like the EU but they understand the logic of net benefits or deficits. They reason ‘on balance’. As found out by TUC and Greenberg Quinlan Rosner in May last year, a solid 77% of British voters expects political parties to come up with “concrete plans for sensible changes in [the] country” whereas 15% wait for “a big vision for radical change”. Most voters are not passionate pro- or anti-Europeans either, but rather undecided or indifferent. 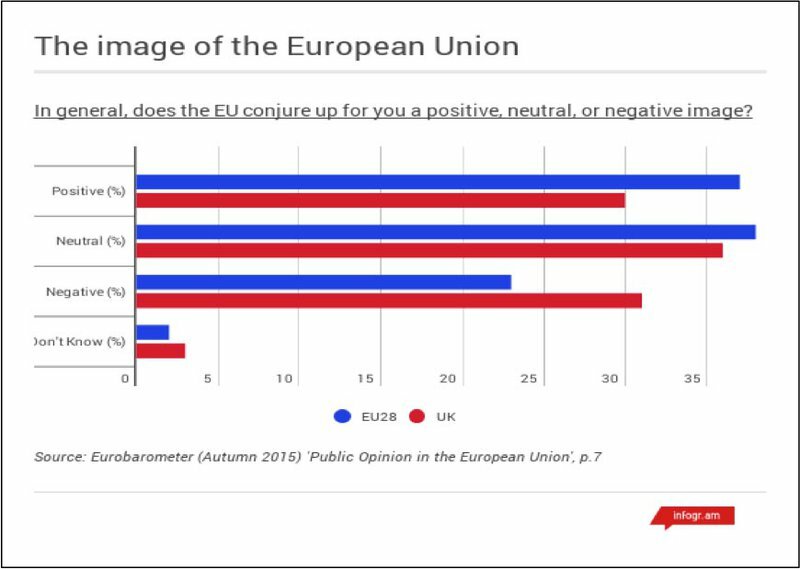 Eurobarometer data reveal that 36% of Europeans and 38% of Britons are ‘neutral’ about the EU. However, when framed in terms of economic benefits, the figures usually show a narrow pro-EU majority. 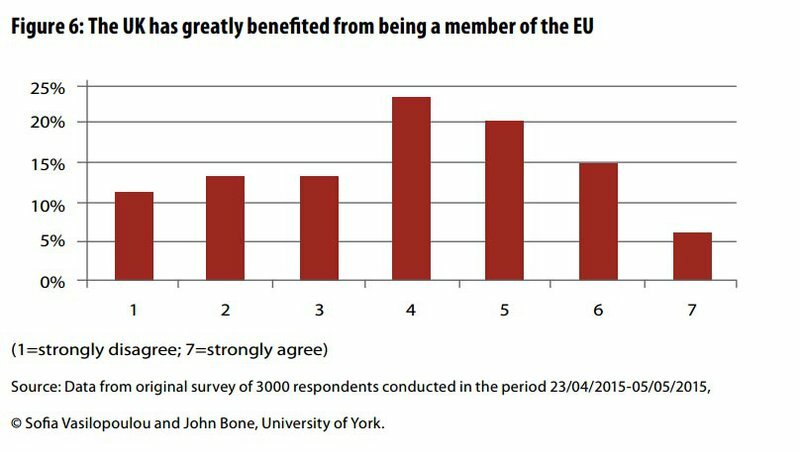 As Sofia Vasilopoulou has written based on original data, “when it comes to a cost-benefit analysis of EU integration, most Britons accept that EU membership has generally benefited the UK” (see charts below). Second, a carefully worded cost-benefit argument does not mean that the broader idea of Europe should be ignored. Here a distinction between Europe and the EU is necessary. That a lot of people loathe Brussels’ institutions is well understood on both sides. Remain campaigners are right to embrace the rhetoric of ‘reform’ in the context of continued membership, and there is a case for acknowledging questions of democratic legitimacy raised by the EU. However, Europe cannot be reduced to the EU, and very few people in Britain would deny the existence of historic ties and a sense of togetherness between European nations. Europe is de facto a community of values and, looking ahead, a ‘community of fate’ in a global and uncertain world. This common sense language can appeal to a broad range of people. In Eurobarometer surveys, ‘peace’ still comes first before economic prosperity and democracy when people are asked what the EU means to them personally. As a result, Leave campaigners cannot simply propose to exchange European cooperation outright for renewed transatlantic and overseas engagement. They need to explain how the UK will be able to maintain the peaceful and beneficial cooperation characterising Europe today without the support of EU institutions. They would be well advised not to attack Europe too frontally, and should come up with credible alternative institutional models of cooperation. The Remain side, by contrast, should develop a narrative linking Europe’s common values and shared challenges to the EU. They need to explain why Brussels institutions, though far from perfect, are necessary. “If the EU did not exist”, they could argue, “we would probably need to invent it. We might do things a little bit differently, but ultimately these institutions allow us to engage in stable and constructive relations with our partners without compromising too much on our sovereignty. 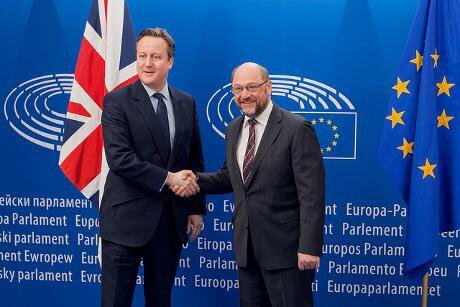 And it is up to us to shape the EU in our way”. Throwing the baby (Europe) out with the bathwater (institutions) is a common mistake in the debates about the EU. In 2005, a substantial share of left-leaning French voters rejected the constitutional treaty because it enshrined, according to them, a neoliberal agenda into the treaties. Of course, they denied being against Europe and claimed, on the contrary, to be the only ‘real’ pro-Europeans. Yet the consequence was to thwart down the very institutional innovations which could have brought about a more political EU and, hence, greater room for change towards their own priorities. Embracing the idea of Europe and transposing it into credible institutional solutions is therefore imperative for both camps. European Union 2016 - European Parliament. Some rights reserved. Third and finally, the EU referendum is about Europe, but most importantly about Britain’s identity and desired place in the world. As British Future has suggested, it is deeply emotional. At first glance, the story looks pretty straightforward for the Leave campaign: “let’s re-conquer our sovereignty and get it our way in the wider world”. Michael Gove, for instance, proposes to reconnect with centuries of proud British history of free trade and overseas strategic alliances. At the same time, Leavers need to embed this vision into the reality of today’s world, with few reliable and stable partners outside Europe, and the US slowly but steadily turning to Asia. As suggested above, Europe is a reality to Britain’s future whether they like it or not. For Remainers, the challenge is arguably more arduous. When asked, in 2012, how they saw themselves, 60% of Britons replied “British only”. 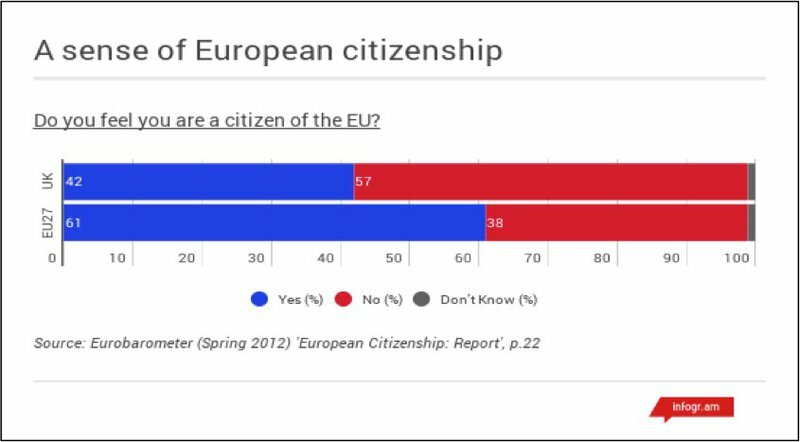 Asked whether they felt European citizens, 42% of them only said yes, the lowest score in the EU (see graph below). Hence, the objective of the Remain campaign should be not only to warm voters up to Europe, but also to suggest a shift in perception. Indeed, they need to defend the idea of a new British identity, of which Europe has become an essential and unquestioned component. The French president Francois Hollande used an interesting formula in that sense in an interview last year: “France is Europe and Europe is France”. That might sound far-fetched to expect a British politician to say this. Nevertheless, making a similar statement is something which Remain leaders should contemplate. And it does not need to be abstract: there are hundreds of historical and contemporary illustrations of how life in Britain and on the continent intersect, from the Romans to the Champions league, from wine and beer to easyJet. Twelve million British people visit Spain in 2014 and 9 million British people visited France respectively in 2014, something reminding us that Europe is also synonymous of leisure, beach, and sun. Don’t be radical. 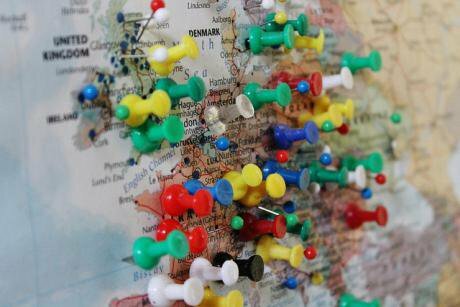 De-link Europe from the EU, and explain how Europe is related to British identity and Britain’s place in the world: these are three reality checks which campaigners on both sides ought to undertake if they want to get the eyes of the public.